nonprofits often become the scapegoat. Last week, on the second floor of 420 E. German St., Billy Gifford worked in a small group preparing boxes of tissues to be packaged. Gifford is one of about 600 people that benefit daily from Herkimer ARC programs, not to mention the 400 people employed with the nonprofit. "They provide me safety and they give me work to do," said the 21-year-old West Winfield resident. "They teach me new stuff every day, and I learn a lot." There's no dispute that nonprofit organizations help the community through programs, grants and job creation as employers. But when it comes to tax-exempt properties, charitable nonprofits often become the scapegoat. The ARC owns 35 tax-exempt buildings in Herkimer County, ranging from housing facilities to manufacturing operations. The East German Street building is partially exempt because it houses other businesses. "We're providing work opportunities for people in an integrated setting for people with and without disabilities," ARC President and CEO Kevin Crosley. And without the tax exemption, the organization would be "in a very serious financial crisis, Crosley said. "The importance of the tax status is such that it keeps our business alive and allows us to provide services," Crosley said. "Not-for-profit is a tax status, it's not a business strategy." Charitable nonprofits raise property values, increase the quality of life and generally take up 5 to 10 percent of a tax base, a relatively small amount, said David Thompson, National Council of Nonprofits vice president of public policy. They also often are contracted to provide services the government cannot. "Our strong view is that cities do better because of nonprofits, not despite nonprofits," Thompson said. "In many ways we reduce the burden on the government." And as financial times get difficult, the need for charitable nonprofits rises, and they become vital in helping the community make ends meet. The Community Foundation of Herkimer and Oneida Counties employs 10 people and in 2013 the nonprofit distributed 494 grants totaling nearly $4 million to the community in the areas such as economic development, enhancing education and improving quality of life. Set to move to a new location, the Community Foundation soon will be operating out of 2608 Genesee Street, a building assessed at $350,000, according to the city Assessor's Office. It will be exempt. "It's a very narrow mantra that nonprofits don't pay taxes, therefore, that's a negative," said Peggy O'Shea, president and CEO of the Community Foundation. 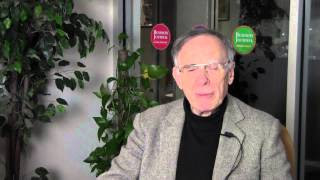 "I think that's really missing the point of what nonprofits provide to a community. We see our role as the organization to bring people together to have that civic discourse and dialogue to decide what's best for our community." ConMed Corp. was fortunate enough to acquire a building several years ago that had a tax incentive. "It was one of the many factors that enticed us to relocate production from another facility here," said Luke Pomilio, ConMed vice president and controller of its corporate headquarters on French Road in Utica. The payment-in-lieu-of-taxes agreement helped relieve the costs of improving the building, as well as hiring and training new employees, he said. Tax exemptions can help spur economic growth through incentives and provide valuable nonprofit organizations with relief. They also can be a drain on the tax base. ments such as PILOTs, the burden is put not only on the taxpayers, but on the government and the school districts. But there are ways to keep a healthy tax base while growing the community. They include fewer exemptions, charging user fees, compromising on agreements and consolidation of services. "We make the assumption that all of these things are good," said Fiscal Policy Institute Executive Director Frederick Floss about giving tax exemptions. "We should not agree to as many of them without asking, 'What is the benefit? What is the cost?'" The majority of exemptions are created by the state legislature, though some can be enacted by local law, said Anthony Carvelli, Oneida County commissioner of finance. So changes would have to take place at a state level. Some nonprofits, such as hospitals or colleges, have for-profit agencies working on their property that should pay a portion of property taxes, said Doug Sauer, chief executive officer for the New York Council of Nonprofits Inc.
"It's up to the local municipality to make sure the property is being used exclusively for charity … for the purpose of exemption," he said. The state Council of Nonprofits is advocating for legislation that if a property is not used within six to seven years for charitable purposes, it would be converted once again to taxable property — eliminating abandoned tax-exempt properties, Sauer said. The Herkimer ARC already does this. At its 420 E. German St. location in Herkimer, portions of the building are taxable because the Herkimer County Chamber of Commerce and an attorney are located there. Another option is charging user fees, something several communities have done — for example, charging fees for public safety services, Sauer said. The idea of a service fee on nonprofits to lessen the property taxpayers' burden is not new – Utica has discussed it several times in the past, but a proposal never has passed the Common Council because the city cannot single out nonprofits. CNYBJ Canvass: Jefferson County is the fastest growing county in CNY. What do you think is the main reason for that? 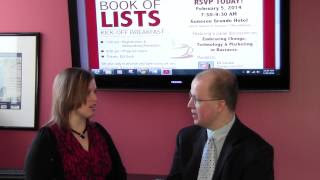 Joyl Clance, BizEventz manager, and Adam Rombel, editor in chief of The Central New York Business Journal, talk about the upcoming event, the Book of Lists Kick-off Breakfast, held on Feb. 5 at the Genesee Grande Hotel in Syracuse. Norm Poltenson, publisher of The Central New York Business Journal, discusses steps that policymakers could take to create incentives to boost employment, specifically encouraging people to go where the jobs are located. Allen Naples, CNY Regional President of M&T Bank, chats with Joyl Clance, BizEventz manager, about the upcoming, sixth annual Nonprofit Awards. To nominate an organization, professional, or volunteer for an award, visit bizeventz.com. The nomination deadline is Feb. 4. Thank you for subscribing to the Daily News Alert, breaking business news from the Central New York Business Journal. The Business Journal is pleased to provide this free service to our readers as an easy way of staying abreast of business news from around the world. While the focus of the Daily Alerts is on the news, we may occasionally include product and service information from our corporate underwriters that is of interest to the business community.